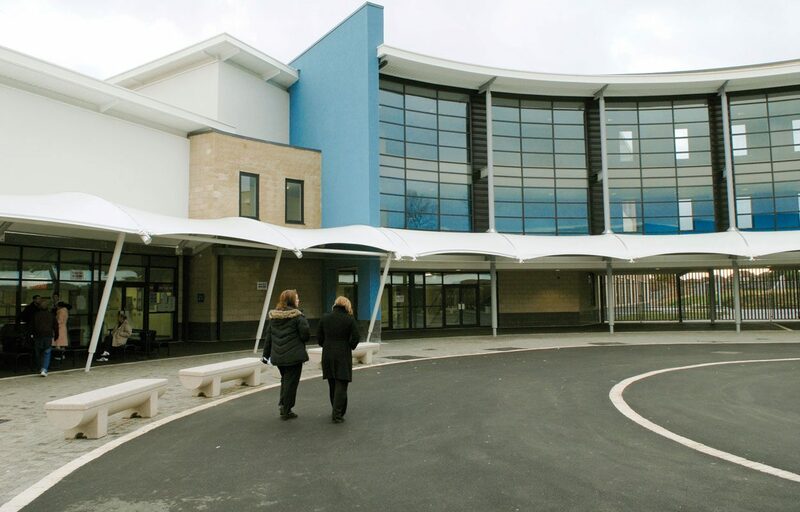 Tensile Fabric Covered Walkway for Carr Manor School. 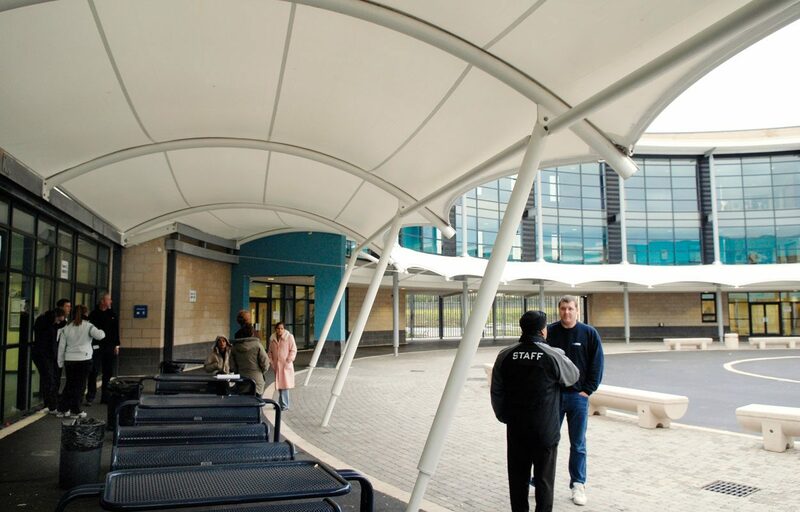 This tensile fabric canopy provides a covered walkway around a new school building keeping students and staff undercover. 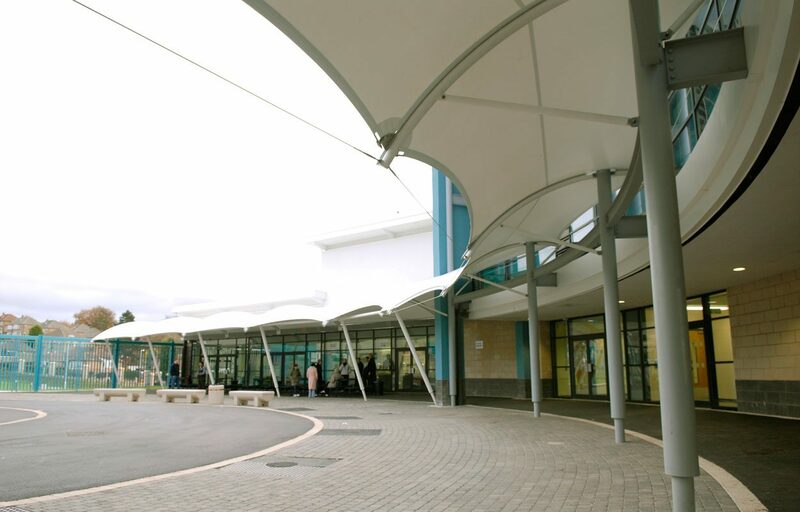 Shade is provided by the structure, keeping the building cool during the summer months. 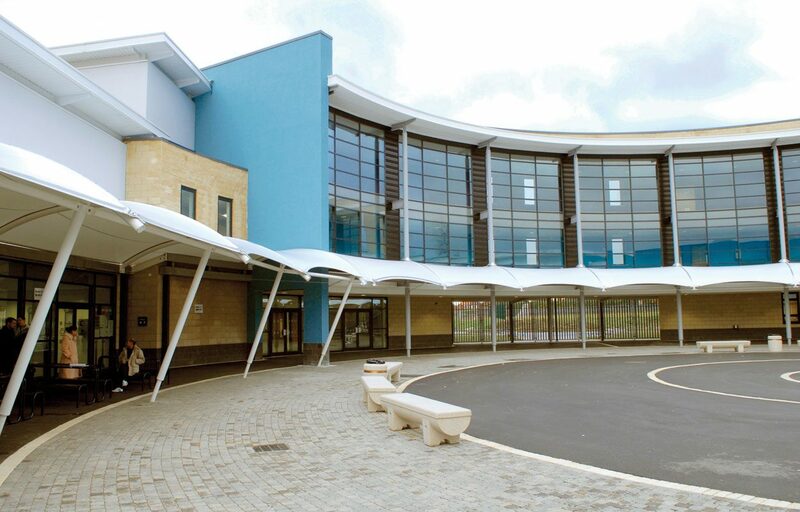 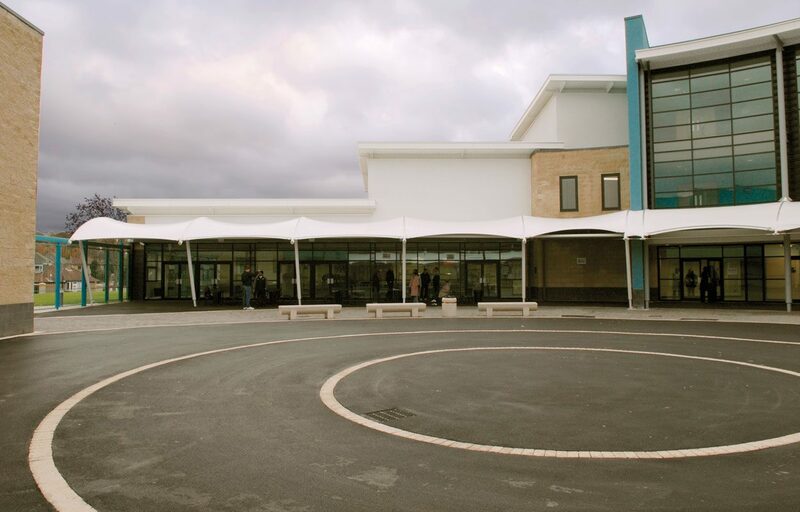 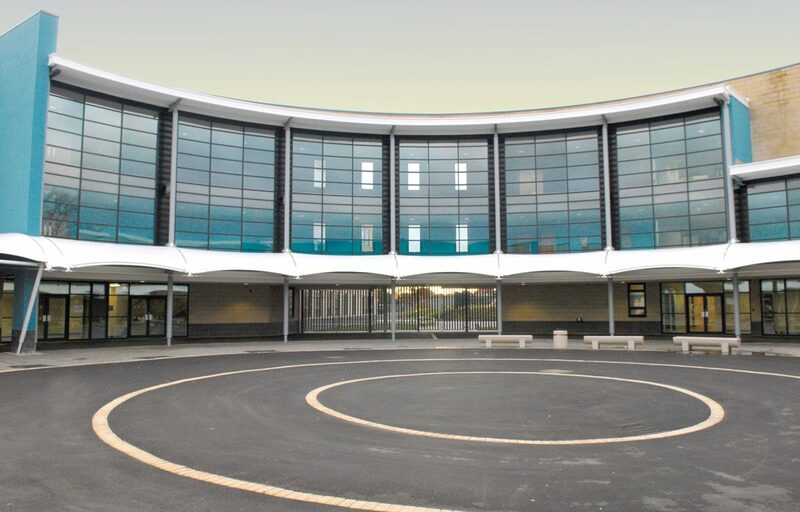 While the tensile structure adds emphasis to the facade of the building, it also provides the school with a 100% waterproof, highly durable and high UV protection fabric roofing solution.